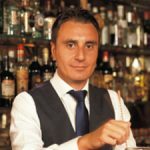 Behind the ENIGMA : Vermouth is hot! For a professional immigrant like me has never been difficult to settle down into a new city, but Rome is a special place and I feel a warm welcome anytime I’m visiting this beauty of art and history! We look into our crystal ball to bring you what we think will be the ten biggest food and drink trends in the UK this year, part 2! Let’s look into our crystal ball and guess what we think will be the ten biggest food and drink trends in the UK this year.